BLACKSBURG, VA—01-15-2017—Lanthionine synthetase C-like 2 (LANCL2) has been validated as a therapeutic target for inflammatory bowel disease (IBD). New research shows that LANCL2 is also important in establishing regulatory macrophages in response to Helicobacter pylori, the dominant member of the gastric microbiota. The findings were published in a recent paper in PLOS ONE. The publication, entitled “Modeling the role of LANCL2 in the modulation of immune responses to Helicobacter pylori infection,” uses a combination of ordinary differential equation (ODE) based mechanistic modeling and experimental studies in mouse models of H. pylori infection and in vitro studies in macrophages to elucidate the mechanisms by which LANCL2 modulates immune tolerance at the gastrointestinal (GI) tract. To accomplish this, a multiscale modeling approach encompassed two spatiotemporal scales: first, the cell-cell interactions occurring at the tissue level, and the intracellular signaling pathways controlling macrophage behavior into inflammatory or regulatory phenotypes. A combination of sensitivity analysis and in silico simulation identified LANCL2 as a key contributor in the prevention of chronic gastric inflammation in response to H. pylori infection – the dominant member of the stomach microbiome in half of the world population. Its presence has been associated with beneficial health effects; however, an estimated 15% of individuals colonized by H. pylori could develop gastritis leading to abdominal pain, ulcers, or gastric cancer. As a result of these side effects, standard treatment involves eradication of the bacterium with antimicrobials, which have been linked to resistance and destruction of beneficial gut microbiota. A potential alternative to indiscriminate antimicrobial usage is the activation of native immunoregulatory pathways, such as those controlled by LANCL2. Using mice deficient in LANCL2, experimental work validated the computational hypotheses and displayed that in the absence of LANCL2 regulatory responses characterized by the production of IL-10 were significantly lessened. This suggests that LANCL2 is required to initiate anti-inflammatory responses to this bacterium. Previously, BTI has used similar computational immunology approaches to investigate other aspects of the H. pylori immune response including: the balance between T follicular helper (TFH) and T follicular regulatory (TFR) cells, the role of NLRX1 in macrophages and the importance of IL-21. The cellular level model of the immune response to H. pylori was first published with a T cell-centric focus, with robust calibration of Th1, Treg, and Th17 cell responses and simulations centered on the importance of peroxisome proliferator-activated receptor gamma in controlling T cell subsets. The T cell compartment was further defined through combination with our CD4+ T cell differentiation model to elucidate the role of IL-21 in the gastric mucosa. The current iteration of the model redefines the myeloid compartment of the model from a traditional inflammatory or anti-inflammatory phenotype polarization to a recruitment of inflammatory macrophages or the expansion of regulatory tissue-resident macrophages. 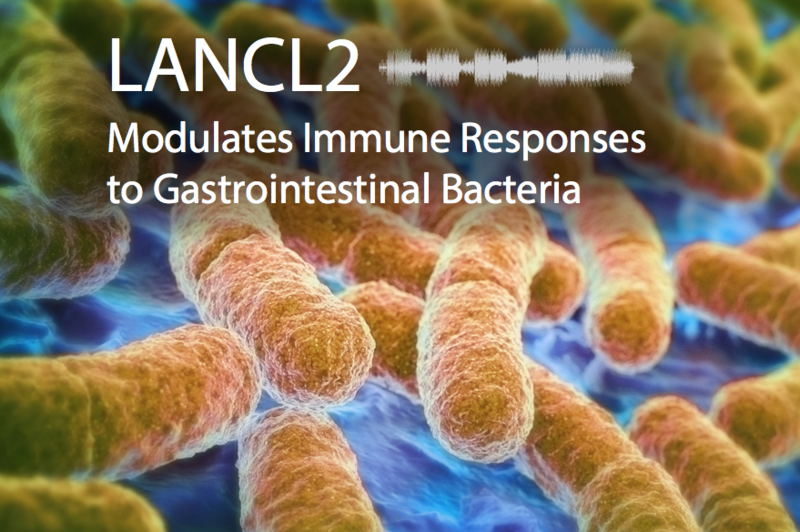 Aligned with recent developments in LANCL2 research in IBD and in glucose control, this work continues to suggest that LANCL2 is a broad-based immunoregulatory target in the interface of immunity and metabolism and therefore capable of producing beneficial effects across a spectrum of infectious, metabolic and immune-mediated diseases. BioTherapeutics Inc. is using this research for drug development and to create safer and more effective therapies for infectious and immune-mediated diseases.